For this week’s installment of Dubspot Radio Podcast, we are thrilled to have Lord Finesse, influential hip hop artist, MC, DJ, producer, and founder of the legendary D.I.T.C. (Diggin’ In The Crates) crew. For the latest Dubspot Radio Podcast, we present an exclusive mix from acclaimed hip hop artist and multi-platinum record producer Lord Finesse. This mix is a glimpse into Finesse’s world as a DJ and listener who has an omnivorous, ever-growing appetite for new sounds and musical possibilities. It flows at a mesmerizing pace with many unexpected and exciting turns. The mix combines recognizable benchmark sounds with obscure gems that speaks to his deep diggin’ sensibilities. In our extended interview, Lord Finesse speaks on a broad range of topics including his creative evolution from respected lyricist to influential DJ and producer, his production process and studio workflow, and incorporating Ableton Live into his setup. He even offers some tips and tricks for chopping and looping samples, extracting grooves and programming drums. We also discuss the process of composing his latest release, The SP1200 Project: A Re-Awakening, out March 10th on Slice Of Spice Records. Preview it below. Bronx native Lord Finesse born Robert Hall was introduced to Hip Hop in the early 80’s. He began rapping at the early age of 14. Lord Finesse was introduced to the rap industry in the summer of 1989 as a New Music Seminar contestant in the famed New Music Seminar Rap Battle for Supremacy. Although he didn’t win the Seminar battle, his mark was made when he defeated Mikey D, the New Music Seminar Champion from the previous year in the first round. Lord Finesse, one of the founding members of the legendary Diggin’ in the Crates also known as “The Ace of Trades”, he earned this title by being a respected lyricist of the highest order, multi-platinum producer and a turntable technician. Time permitting Lord Finesse can frequently be found spinning at clubs in the New York City area. 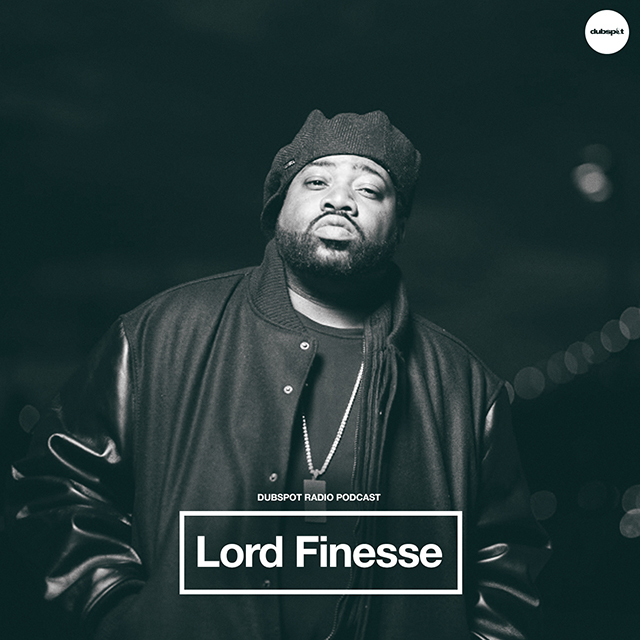 Not known to many Lord Finesse is also responsible for discovering Harlem’s own legendary Big L.
To date Lord Finesse has released four albums, “The Funky Technician”, “The Return of the Funkyman”, “The Awakening” and “From The Crates to the Files”. Over the years he has released and guest appeared on numerous singles. His voice can also be heard on the hook to Fat Boy Slim’s multi platinum “Rockerfella Shank”. As a producer his production credits include such artist as Notorious BIG, Big L, Dr Dre, Fat Joe, and Capone and Noreaga, Vinny Paz to name a few. Keep up with Lord Finesse on Soundcloud, Facebook, and Twitter. 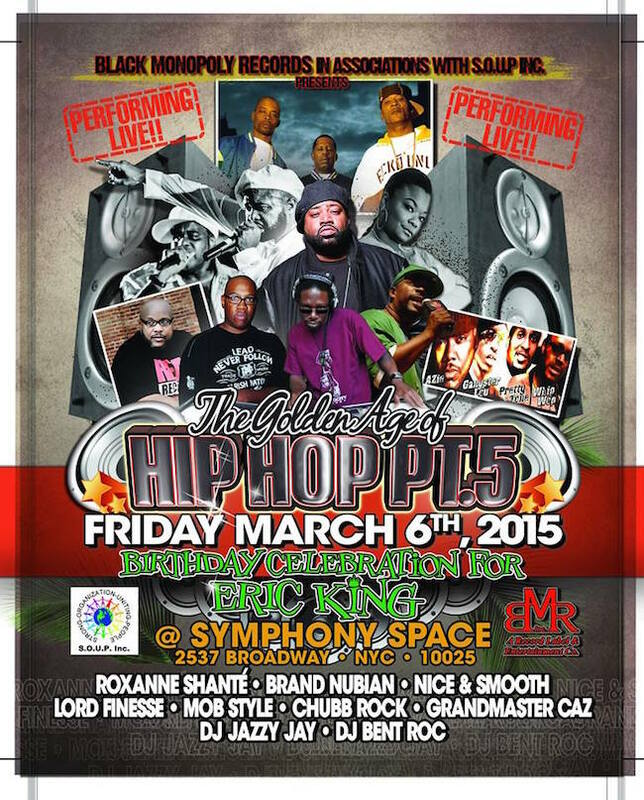 If you’re in New York City tonight (Friday, March 6th, 2015), don’t miss Lord Finesse performing alongside Brand Nubian, Nice & Smooth, Chubb Rock, Roxanne Shante, and Mob Style at the Golden Age of Hip Hop event at Manhattan’s Symphony Space.